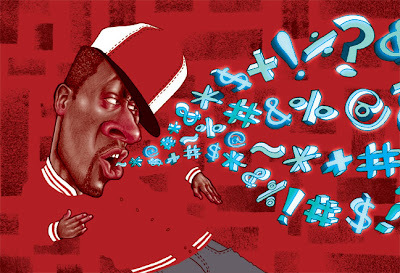 for an article about rappers swearing a lot. they wanted the rapper to look like a generic rapper. I think i pulled it off this time. doesn't look like any know rapper. I'm glad I was able to use the fade away this time. Finally! This is great. Yeah sure he's swearing but you've made it all look so beautiful it look like music.